Amaru Qosco, the beloved teacher who brought you the “The Eagle’s Vision” teleseminar, will be guiding us through this journey of consciousness with his radiant love and expansive wisdom. After spending his life immersed in the study and application of the Life Originating Principles of the original peoples of North and South America (some of which we began studying in The Eagle’s Vision), Roberto has been granted permission to share these profoundly sacred ancient teachings with the outside world. His intention is to support us in the crucial and urgent work we must all do to restore and unify our internal and external worlds. Read the Letter from Roberto A. Restrepo about the course! Click here to see the Complete Description Course. You’ll have access to the full library of audio recordings – with a supplementary On-line Visual Component. Click here to see the complete description course. Thank you!! 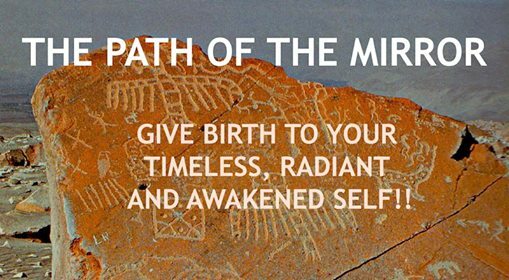 Share the post "Download Course The Path of the Mirror"